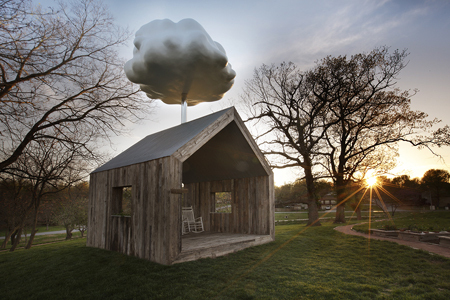 Matthew Mazzotta’s (Sculpture/Installation/New Genres Fellow ’11) new project CLOUD HOUSE, is a “cloud” that rains on a tin roof when you sit in the rocking chairs (location: Farmer’s Park – Springfield, MO). CLOUD HOUSE is a unique rain harvesting system that creatively reuses the rainwater it collects to provide a deeper look into the natural systems that give us the food we eat. On rainy days, a gutter system collects rain that hits the roof and directs it to storage tank underneath the house. Sitting in the rocking chairs triggers a pump that brings the collected rainwater up into the “cloud” to drop onto the roof, producing that warm pleasant sound of rain on a tin roof. 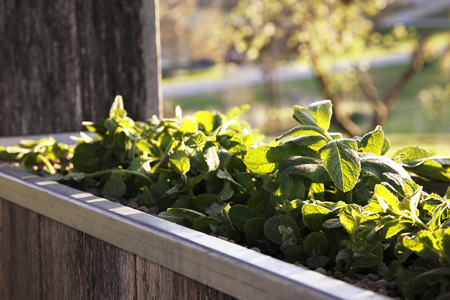 At the same time, rainwater drops from the tops of the windows onto the edible plants growing in the windowsills. 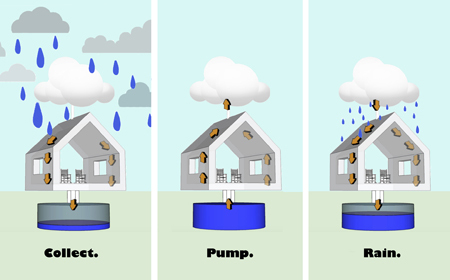 Designed to collect and store rainwater for the “cloud” to rain, this display of the water-cycle illustrates our fragile dependence on the natural systems that grow the food we eat, and at points throughout the year when there is low rainfall, the ‘cloud’ will not rain on the roof because it is simply out of water. 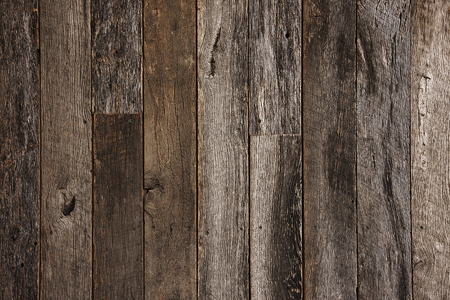 CLOUD HOUSE is clad with barn wood and tin reclaimed from a nearby abandoned farm by group of Amish builders. 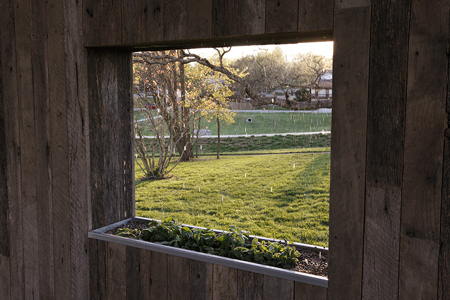 With rocking chairs on a barn wood floor, the sound of rain on a tin roof, and rain drops bringing the necessary elements for plants growing in the window sills, the look and feel of CLOUD HOUSE is the epitome of a rural farm experience from simpler times, and creates a space to reflect on the natural processes of food production. Located at Springfield, MO’s largest farmers market, CLOUD HOUSE is a poetic counterpoint to the well-attended market and offers a meditative moment to slow down, enjoy the fresh edible plants, and listen to rain on a tin roof. 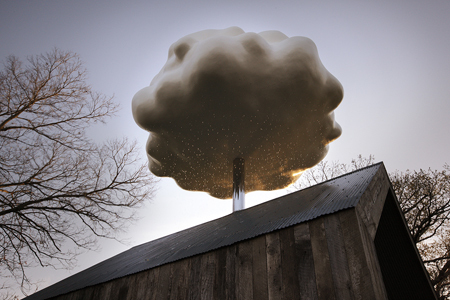 Watch a video about Matthew Mazzotta’s CLOUD HOUSE. All images courtesy of Matthew Mazzotta.